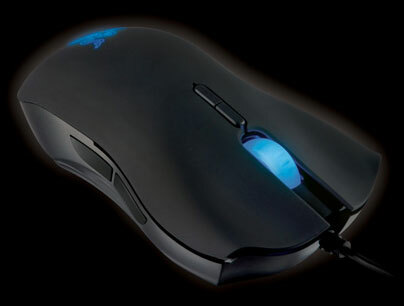 In addition to the Lycosa keyboard Razer announced yesterday it also announced a new gaming headset called the Piranha. The Piranha joins the Razer Barracuda headphones, but the new headset differs greatly from the Barracuda. The Piranha is not a surround sound headphone, but uses what Razer describes at true-to-life stereo audio with superior clarity and bass. The Piranha has a built-in noise cancelling mic and in-line controls for volume and mic mute. The Barracuda headphones could be used with the DVI-like input of the Barracuda sound card. Razer makes no mention of this connection option with the Piranha and says it works with a standard 3.5mm headphone jack that should work with DAP devices and CD players. Frequency response for the headphones is 18 – 22,000 Hz with an impedance of 32 ohms. 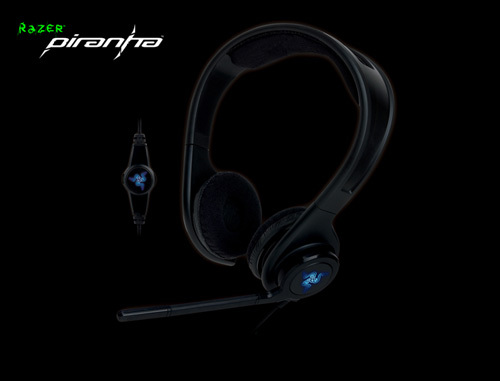 The Piranha headphones will be available in October for $79.99. Razer announced a new gaming keyboard yesterday called the Lycosa. 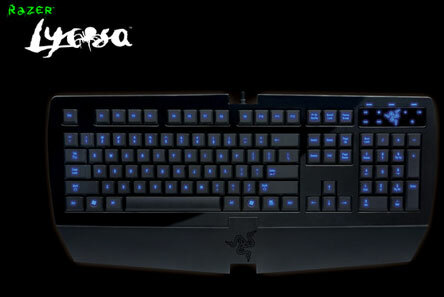 Presumably Lycosa is some sort of spider since Razer names its keyboards, like the Tarantula, after arachnids. I have a Tarantula keyboard and the biggest complaint I have with it is the lack of backlit keys. Razer addresses that with the new Lycosa sporting complete backlighting and the ability to backlight the WASD keys alone. The key tops are covered in a non-slip rubber finish. The keys are fully programmable and can have macros bound to them and you can store 10 software profiles to the internal memory. The memory inside the Lycosa allows you to build your profiles and macros in the familiar Razer Synapse software and then use the keyboard profiles and macros on computers without needing to install software. 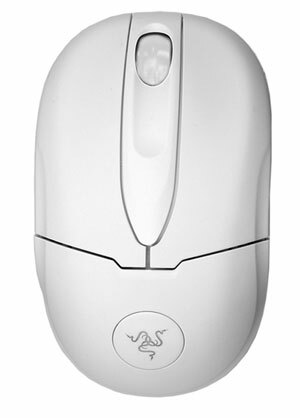 Razer also uses 1000Hz Ultrapolling in the keyboard, as Razer uses in the upcoming Lachesis mouse. The keyboard also sports a detachable wrist rest, one USB port and earphone-out and mic-in jacks. The Lycosa will be available in November for $79.99.